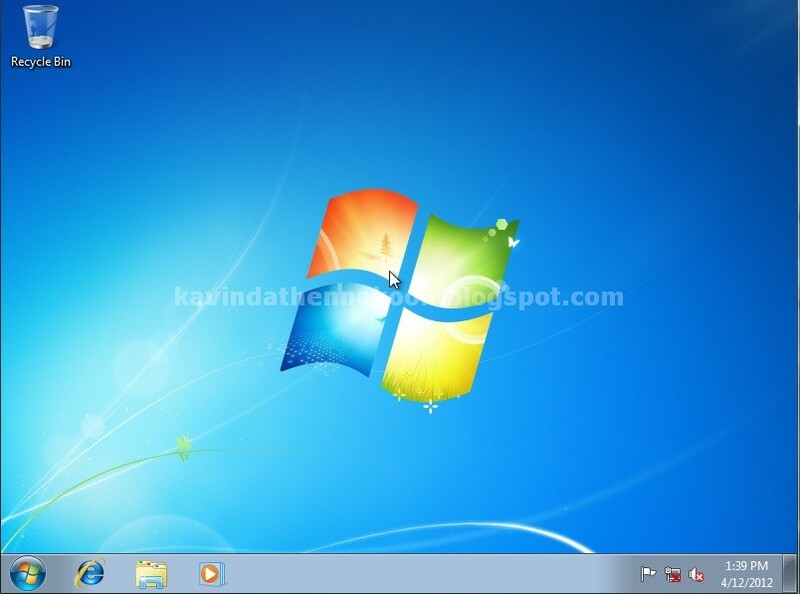 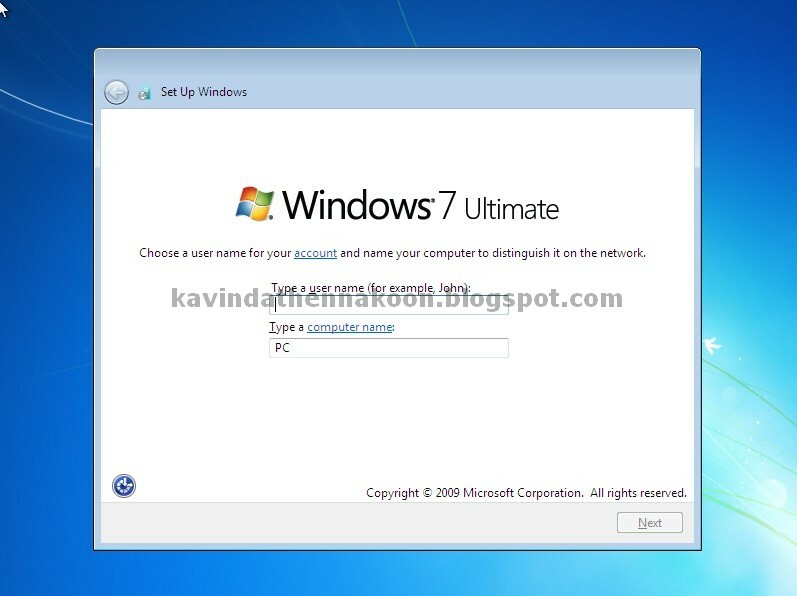 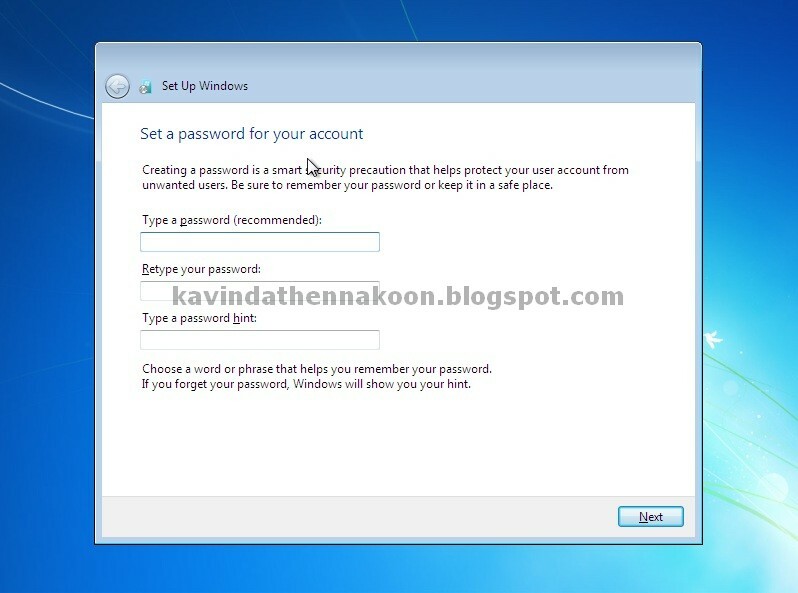 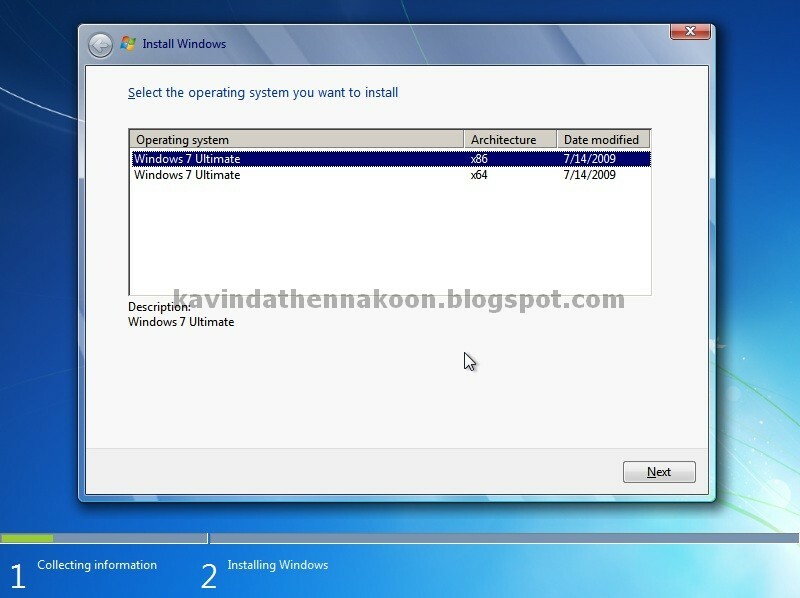 ඔබ Windows7 Install කිරිම සදහා බාවිතා කරනුයේ USB PEN mode එකක් නම් USB..option එකද ඔබ බාවිතා කරන්නේ Bootable DVD නම් DVD Rom.. option එකද තොරන්න. දැන් ඔබට මෙවැනි දෙයක් දැකගත හැකිය..
After that you able to see following image,so select "CUSTOM(Advanced)"
මෙහිදි ඔබට මොන partition එකට windows7 install කල යුතුද යන්න තේරිය හැක,ඊට අමතරව අලුත් partition සැදිමද කල හැකිය.. දැන් "Drive options(Advanced)" Click කරන්න. දැන් "New' Click කර ඔබට අවශය ඉඩ ප්‍රමාණය ලබා දෙන්න. මෙහිදි පළමු වතාවට Windows7 Install කරන කොට පහත Message එක දැක ගැනිමට ලැබෙ,එහි අදහස System Files Save කිරිම සදහා අමතර system parition අවශය වන බවය එනිසා "OK" Click කරන්න එහිදි 100MBක අමතර system parition එකක් සදාගනි. 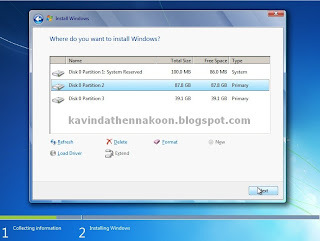 දැන් ඔබට මම සකසා ගත් partition දැක ගත හැකිය,මෙහිදි windows7 install කිරිමට මා බලාපොරොත්තු වන partition 2 සදහා මම 90000MB=87.8GB ප්‍රමාණයක් ලබා දි ඇත,එවාගෙම මෙහිදි ඔබට 100MB system partition එක හා මම අමතරව සැකසු 39.1GB partition එකද දැක ගත හැකිය. 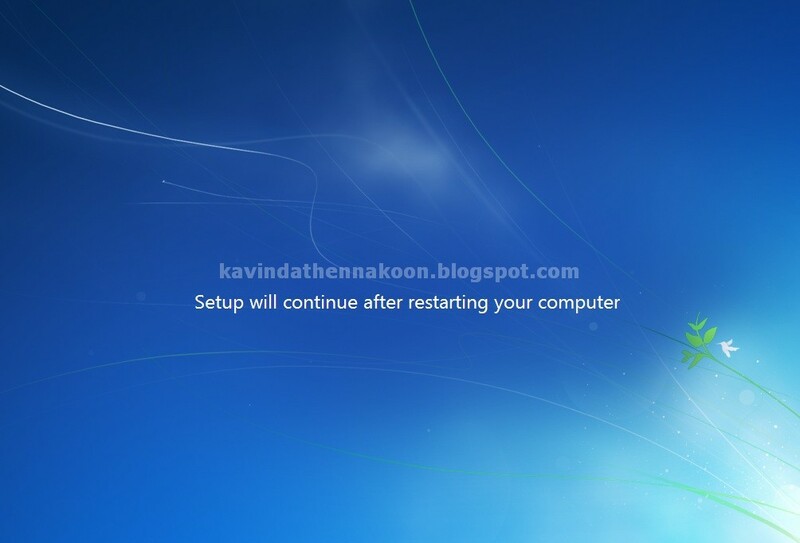 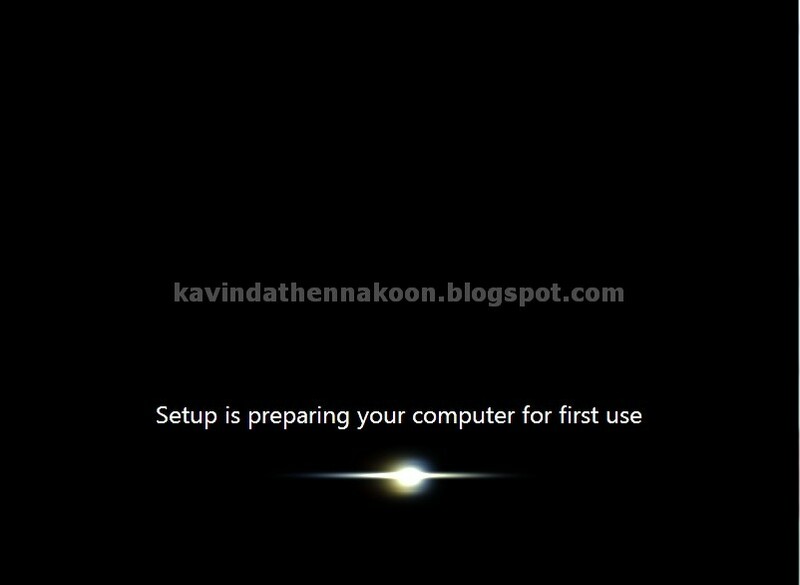 And Select the partition you want to install windows 7 and click "OK" to continue. 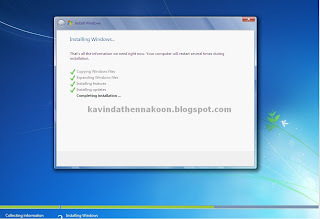 Now System Automatically Installing Windows,It may take several minutes to complete it might depend your computer perfomence. 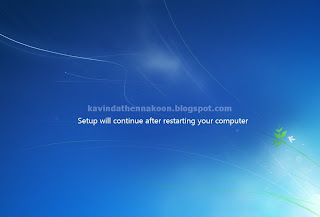 මෙම කාලය තුල ඔබගේ පරිඝනකය කිහිප විටක් Restart විම සිදුවේ,අනතුරුව ඔබට පහත දැක්වෙන දෙවල් දැක ගත හැකිය..
Now Installing Part is done,after that you can configure the windows7 as your's own. 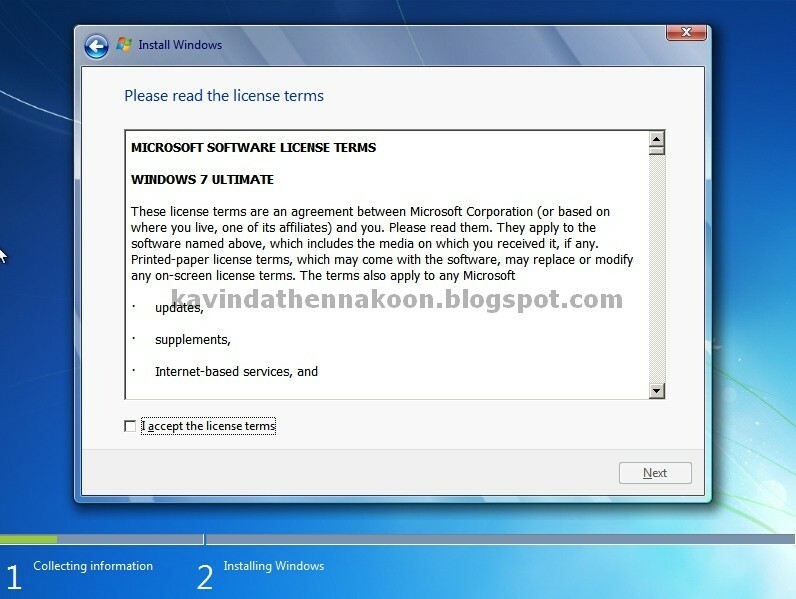 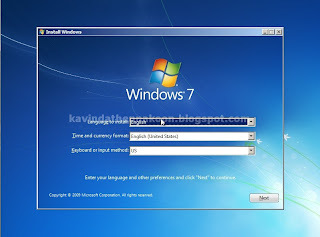 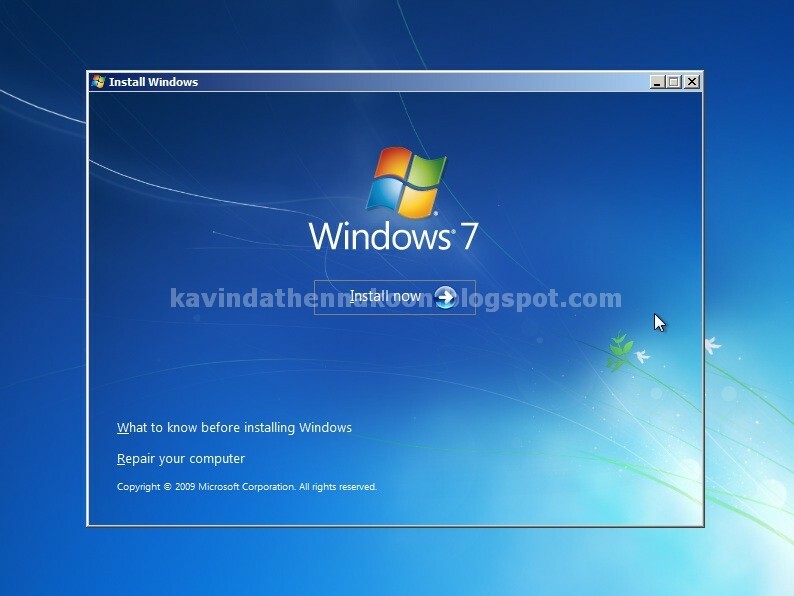 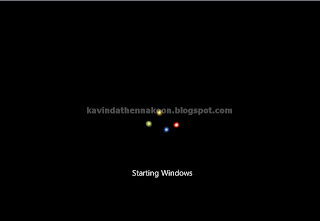 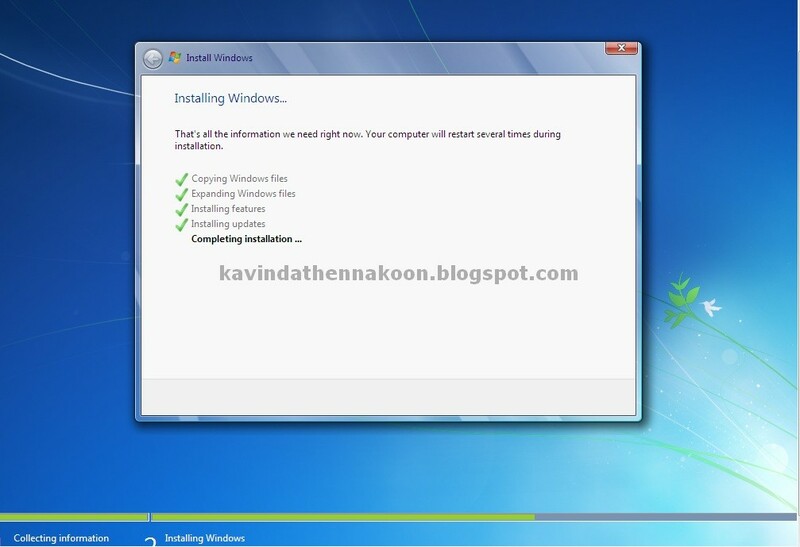 දැන් Installation part එක අවසන් වි ඇත ඉන් අනතුරුව windows7 configuration part එක ඔබට දැක ගත හැකිය..
මෙහිදි ඔබට ඔබේ පරිඝනකය සදහා නමක් ලබා දිය හැකිය,මෙම නම ගොඩක් වැදගත් වෙ ඔබ ඔබේ පරිඝනකය Network කරනකොට හෝ Network එකක USE කරනකොට..
මෙහිදි ඔබට ඔබේ පරිඝනකය සදහා ප්‍රවෙශ මුර පදයක් ලබා දිය හැකිය. මෙහිදි ඔබට Update Settings සැකසිය හැකිය.ඔබ බාවිතා කරනුයේ genuine windows7 නම් "Use recomended settings" option " තේරිම සුදුසුය එමෙන්ම ඔබ බාවිතා කරනුයේ cracked windows7 නම් " Ask me later" option " තේරිම සුදුසුය. Now set the Time,Date and Time Zone and click "Next"
දැන් වෙලාව,දිනය හා වෙලා කලාපය තොරා "Next" Click කරන්න. 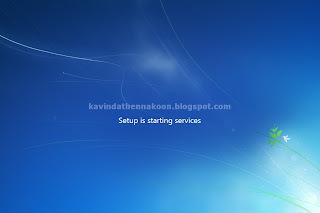 දැන් configuration partඑක සම්පුර්ණයි,දැන් system එක විසින් එම වෙනස්කම් save විම සදහා යම් කාලයක් ගනු ලැබෙ ඉන් අනතුරුව පරිඝනකය automatically restart වෙ. 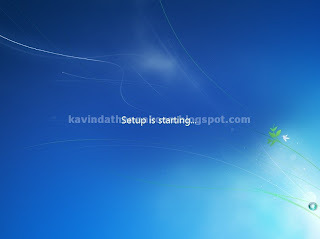 Now system is ready to use you can install your drivers and other stuff. දැන් සියලුම කටයුතු සම්පුර්ණයි...දැන් අවශය පරිදි Drivers හා අනිකුත් Software install කරගත හැකිය..